Below is a letter written by Peter Thompson in response to The Telegraph's recent article on poisonous wild flowers being found among seed packets promoted by the BBC's Countryfile programme. 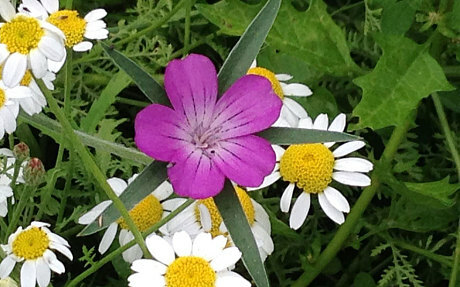 It is deeply disappointing to read the negative coverage being given to the BBC for its efforts to spread some colourful ‘wildness’ back into our rather bland countryside and parks (Project promoted by BBC spreads poisonous wild flowers across Britain). The whole point of this exercise is to supply pollen and nectar for our declining pollinators, especially bumblebees as well as encouraging the regrowth of some of our more vulnerable wild arable flowers. Children should be taught from an early age that there are many things growing in our towns and countryside that would be harmful. Foxgloves, daffodils, bluebells and even the amaryllis you were given for Christmas might be unwise to ingest. Rather than frightening children away from exploring the countryside, we should be introducing them and educating them as to the delights of all things ‘wild’ that grow around them. We have some (A few) poisonous animals; some (quite a few) poisonous fungi and several poisonous berries & plants in Great Britain. The guidance given by parents is not to eat or touch things you don't recognize. We are still alive or we would not be reading these letters and stories. Sensible comments from Peter Thompson and let's get crackig getting our wild plants beack again!